If you have a smartphone, and you want to know something, it’s at your fingertips. Frustration only abounds when you want to know more than what your smartphone is capable of providing. A lot of times this limitation is not the device itself, but a business’ inability to keep up with this technology and consumer search behavior. Matt uses one of my favorite examples, REI. I want “this tent”. You might be watching the 10 O’Clock news and you decide, I want “this tent” for our camping trip this weekend. So you pick up your smartphone and search for “this tent”. 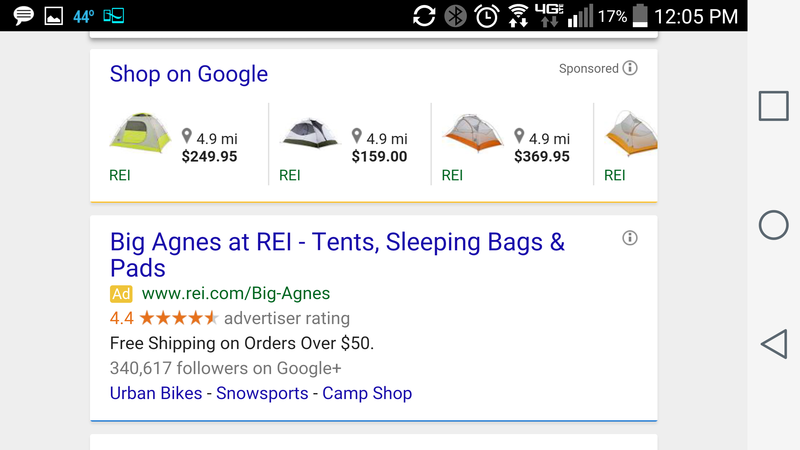 REI, with the help of Google ads, will likely show up with an ad displaying; a picture of the tent, the nearest REI store with the tent in stock, and inventory. You could also buy the tent online, but if you are like me and you live in a city with several REI stores, you probably prefer to visit the store, touch, see, and even smell (if your really an outdoors fene) the tent to make sure it smells good. And then you can buy it the next day instead of waiting for it in the mail. However, if you live in a beautiful cabin in the north woods, and the nearest REI store is a days drive, and your in no hurry to escape to nature, then you can order “this tent” right from your smartphone. These “I Want…” moments of smartphone searches are also important for small local businesses too. Local Search Optimization is a whole new ballgame in search engine optimization. Same scenario, 10 O’Clock News, and you realize its’s going to be 70 and sunny on Saturday. “Honey, we better get those landscape supplies now so we can start our backyardÂ project this weekend.” Or better yet, “Honey, let’s just hire a landscape company to do it for us!” And you grab your smartphone like it’s the magic 8 ball …. “landscape companies near me”. Whatever you want to know, the decade of smartphone knowledge moments is growing and providing you that information. If you want your business to reach smart searchers, get a Local SEO strategy running in sync with Google My Business, Bing Local, Google mobile ads in AdWords, Google Shopping, and more. Your business will better compete and reach those “I Want…” micro-moments and succeed in today’s smart searches.